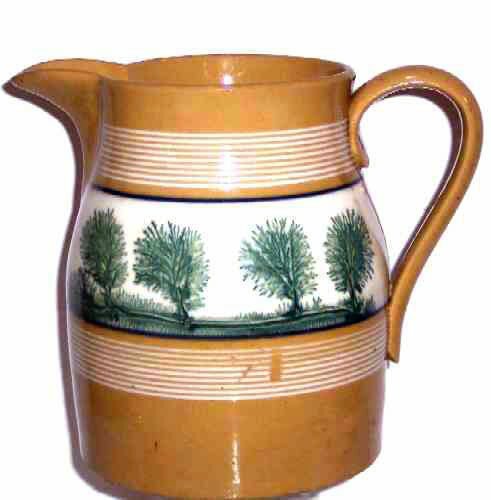 Presented here a wonderful Yellow Ware Pitcher with Mocha Dendretic Decoration that resembles "Trees". 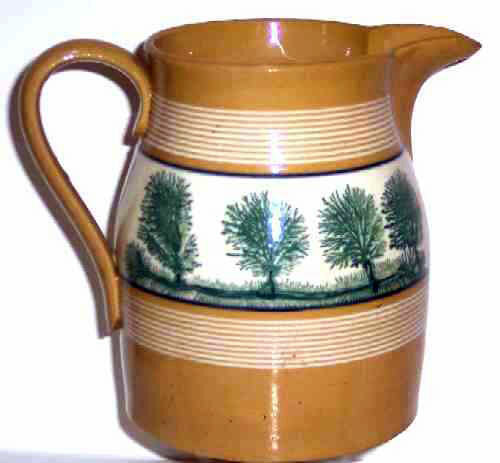 The pitcher is that lovely Dijon color we love. The condition is high outstanding with no apologies here! The green on the trees and on the ground is what I would call Forest Green. The white Bristol Slip Band on which the trees sit is flanked on the top and bottom by thin lines of white slip. All in all, a very lovely piece of Yellow Ware in perfect condition.